Italy is one of those countries that we just can’t quit–and we think that after following this 2 weeks in Italy itinerary, you’ll agree! After spending nearly a combined 6 months exploring the country in-depth over the last few years, our desire to return to Italy just keeps growing: there will always be more villages to explore, natural beauty to marvel at, and, of course, pasta and wine to enjoy. We’ve made our way to 10 of Italy’s 20 regions, “lived” for a month each in 3 different cities (Florence, Bologna, and Rome), taken food tours and cooking classes, explored on foot, marveled at architecture, art, and ruins alike, discovered offbeat neighborhoods, and hit up all the most famous sights (sometimes more than once). We’ve traveled as a couple, with extended family, and with friends. Suffice it to say that after all the time we’ve spent in Italy, we have some opinions about how to make your first trip to Italy truly unforgettable… and this Italy itinerary is what we suggest. For first time visitors, 2 weeks in Italy is the perfect amount of time to hit the country’s most famous and classic spots, see which ones you love, and (if you’re anything like us) fall head-over-heels in love with the country to the point that you’ll leave planning your next trip back. This is the 2 week Italy itinerary we recommend to first-time visitors, including our friends and family, and we won’t be straying off the beaten path much here. These first 14 days in Italy will be all about the classics–follow this trip and you’ll be spending a lot of time watching postcards come to life! Rome’s highlights rank among the most famous sights in the world: who hasn’t dreamed of seeing the Colosseum in person, of walking across St. Peter’s Square, and of admiring the masterpiece that is the Sistine Chapel? 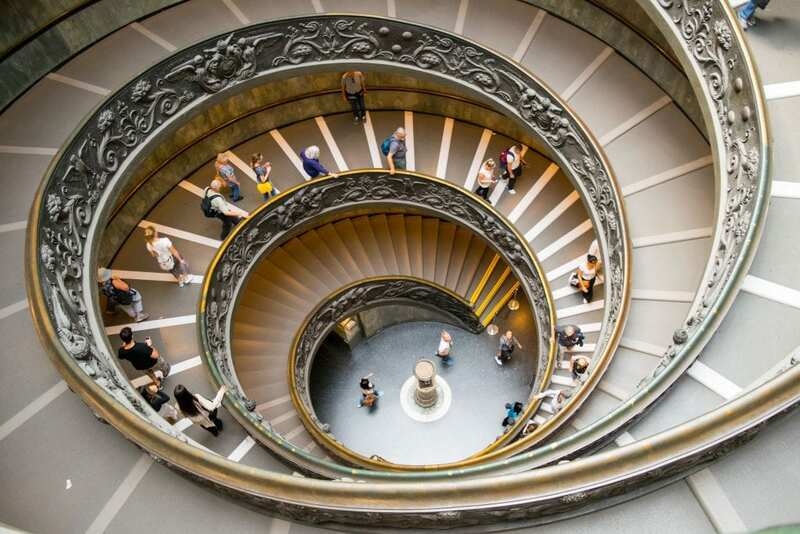 Two days in Rome will give you plenty of time to see the best of what Rome has to offer, while also leaving plenty of time in your 2 weeks in Italy itinerary for all of the other destinations along the way. If you happen to be lucky enough to have an extra couple of days in Italy, though–say 15 or 16 days, or perhaps less jetlag to contend with than some visitors–we highly recommend extending your time in Rome before adding time to any other destination on this 2 week Italy itinerary. It’s simply impossible to run out of incredible things to do in Rome! Rome has two major downsides as a tourist: crowds and heat. You can beat the bulk of both by traveling in the shoulder season (we personally think that October is the perfect month to visit Italy, and we found Rome to be remarkably uncrowded in December), and/or waking up extra early to enjoy the city before everyone else gets out of bed. 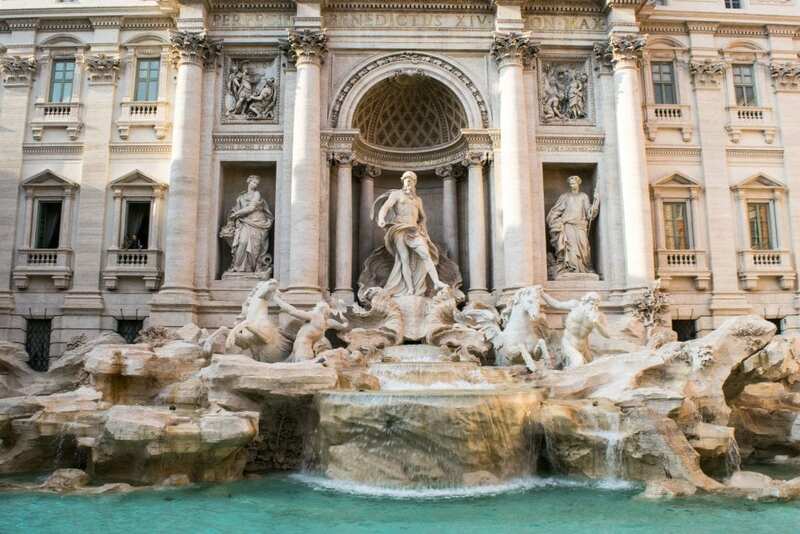 For example, some of the best photos of the Trevi Fountain I have seen were taken around dawn! That being said–there are a million ways to get off the beaten path in Rome no matter when you visit, and while touristic hotspots like the Colosseum and Spanish Steps are nearly always crowded, fascinating places like the Capuchin Crypt, the Palazzo Doria Pamphilj, the Basilica of St. Paul Outside the Walls, plus the neighborhoods of Testaccio, Ostiense, and Monti in general, are just a few of the many great places to enjoy Rome without dense crowds. No first trip to Italy would be complete without a visit to this beautiful coastline! After leaving Rome, head north to Cinque Terre for coastal views, hiking, adorable fishing villages, and plenty of fresh seafood. Since five of the Cinque Terre villages are easily connected by train (or ferry during the summer! ), feel free to stay in whichever one appeals the most, or even in nearby Levanto to save a tiny bit of cash. While it would be tempting to bring a car to Cinque Terre to have access to your own transportation and a more direct way to get to Cinque Terre from Rome and to Florence after your visit, the roads do not make for an easy drive. Parking can also be a challenge around the villages–if possible, we’d recommend relying on the train or the’s famous trail to get around in Cinque Terre. Keep an eye on closures to both the trains and the trails between the villages, however. Strikes can happen that will shut down the train (happened to us in May 2016! ), and the trails can sometimes be washed out and therefore closed. The trails also often close during the offseason, so if you’re planning a winter trip to Italy, don’t count on being able to hike between all the villages. Why Cinque Terre instead of the Amalfi Coast? Italy’s Amalfi Coast is truly a marvel, but it makes less geographic sense for this itinerary than Cinque Terre. Visiting the Amalfi Coast would require traveling south from Rome when the bulk of this 2 weeks in Italy itinerary focuses on the northern half of the country. If you have your heart set on visiting the Amalfi Coast, you can certainly swap it out for Cinque Terre, but bear in mind that the travel times involved would likely only give you one day to explore the coast if you don’t want to cut days from the rest of the destinations on your Italy itinerary. Cinque Terre also has the benefit of being smaller than the Amalfi Coast, making it easy to explore most or all of the villages over a short amount of time. Of the five villages, the only one we would recommend not staying in is Corniglia, as it’s the most difficult to get in and out of. 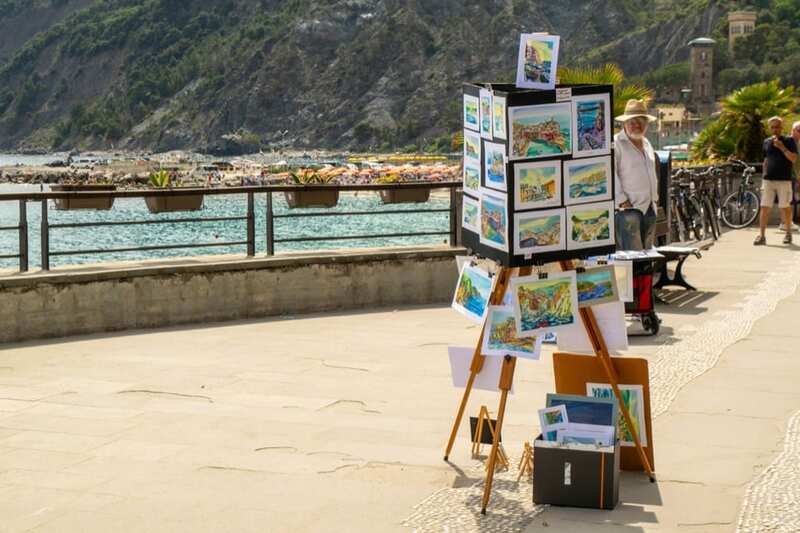 Other than that, all the villages have their perks–Monterosso al Mare has the biggest beach, Manarola has the most insta-famous viewpoint, and Vernazza and Riomaggiore are simply drop-dead gorgeous. Scorci di Mare (Riomaggiore) — Want to stay a 3-minute walk from the beach and see the sea from your window? Scorci di Mare is the perfect spot for you. Riomaggiore is the smallest village in Cinque Terre, making it the perfect reprieve from busy days (and all the other villages are a short train ride away). Check rates and book your stay at Scorci di Mare! Da Baranin (Manarola) — Cinque Terre is expensive, there’s no getting around it. For a budget option, consider Da Baranin–you’ll need to climb up and down a steep hill as a trade-off, but you’ll get to stay in Manarola for a very affordable price tag! Check rates and book your stay at Da Baranin! Ca de Lelio (Manarola) — With cozy, modern rooms and a great location in Manarola, Ca de Lelio will have you perfectly situated to explore the villages. Check rates and book your stay at Ca de Lelio! Tuscany is one of our favorite regions in Italy–and not just because we could spend a lifetime eating and drinking there (though we could). The towns are beautiful and distinct, Florence is a dream of a city, the history is interesting, and the golden tinge to the light that you see in pictures of Tuscany isn’t photoshop–it just really looks like that. 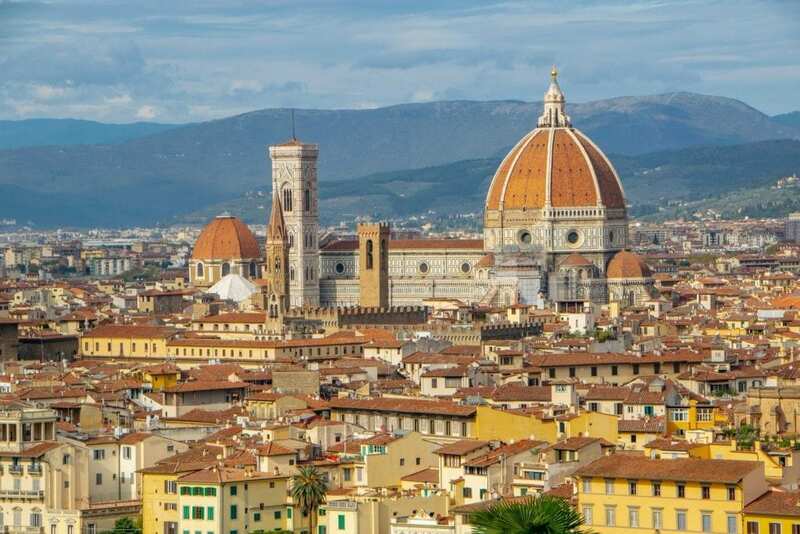 While there’s no such thing as too much time in Tuscany, 3 days in Tuscany will give you a chance to explore the best of Florence in about 1.5-2 days, and also give you time to visit at least one other Tuscan city. Pisa is a popular choice that is close to Florence, but unless you’re truly dying to see the leaning tower, we’d recommend using Siena, Lucca, or Montepulciano as a base instead. 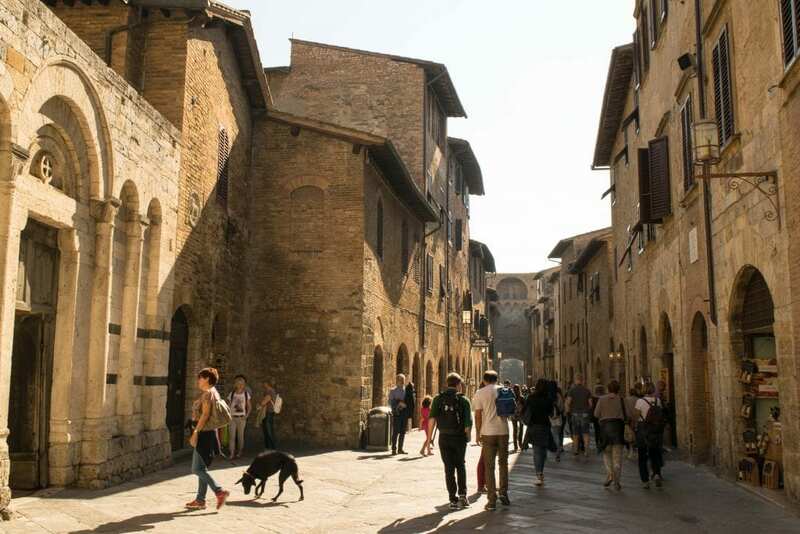 If you’re looking for day trips, San Gimignano, Volterra, Arezzo, and Cortona are all stunning, and though it is in Umbria rather than Tuscany, we adored our visit to the village of Orvieto as well. Three days in Tuscany gives you a couple of options as far as lodging: you can either stay in Florence the whole time and take day trips out, you can stay in a smaller city the whole time and simply take a day trip to Florence, or you can split it up–two nights in one city, and one in another. Personally, we’d recommend sticking with one place to stay–this itinerary is already fast-paced, there’s no reason to take up extra time moving hotels. We’ve visited Tuscany both ways: by staying in Florence and commuting out, and by staying near Lucca and commuting into Florence for a day trip. 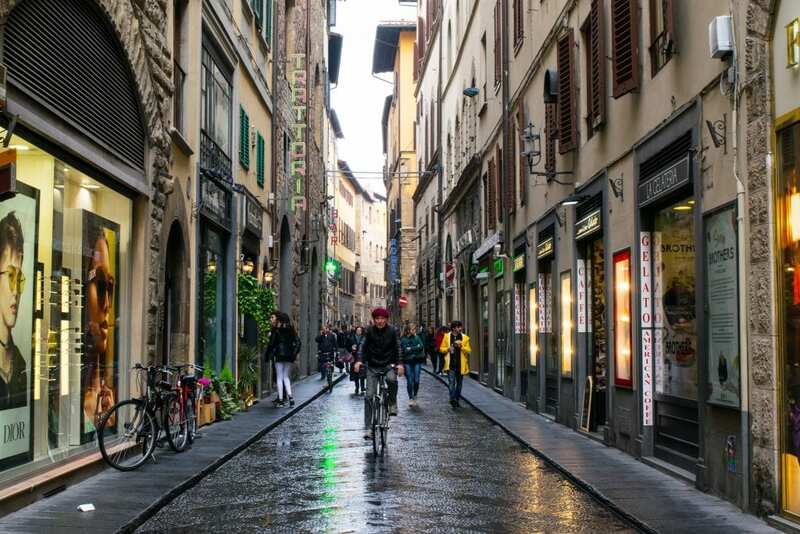 You truly can’t go wrong with either option–I’d stay in Florence if you’re more of a city person, and in a surrounding Tuscan town if you’re more interested in the countryside. If you stay in the countryside, you will definitely want to rent a car for this portion of the trip. Both of these hotels in Florence are midrange in price, boast an excellent, walkable location, and have wonderful reviews–we wouldn’t hesitate to stay in either one! Bargello Guest House — Located in the heart of Florence, this property is only a short (read: less than 5-minute) walk away from some of Florence’s highlights like the Palazzo Vecchio. Staying here, you’ll be within easy walking distance of the best of what Florence has to offer. Check rates & book your stay at Bargello Guest House! Ghirlandaio Firenze Guesthouse — Housed in a 19th-century building, this guesthouse is tucked away a bit further from the action than the other–which in Florence means that you’re still just a 15-minute walk from the Duomo! Check rates & book your stay at Ghirlandaio Firenze Guesthouse! If you’re in Florence for an extended visit, we loved the small but perfectly located Airbnb Apartment in the Heart of Florence (Never used Airbnb before? Sign up with our link for a discount on your first stay! ), but we tend to prefer hotels for shorter stays these days–and that includes during a 2 week Italy trips! Canals, canals, and more canals: Venice is simply a ridiculously beautiful place, and we loved every second of our time there. Definitely make sure that you climb St. Marco’s Bell Tower for an amazing view of the city, check out Libreria Acqua Alta (one of our favorite bookstores in the world! 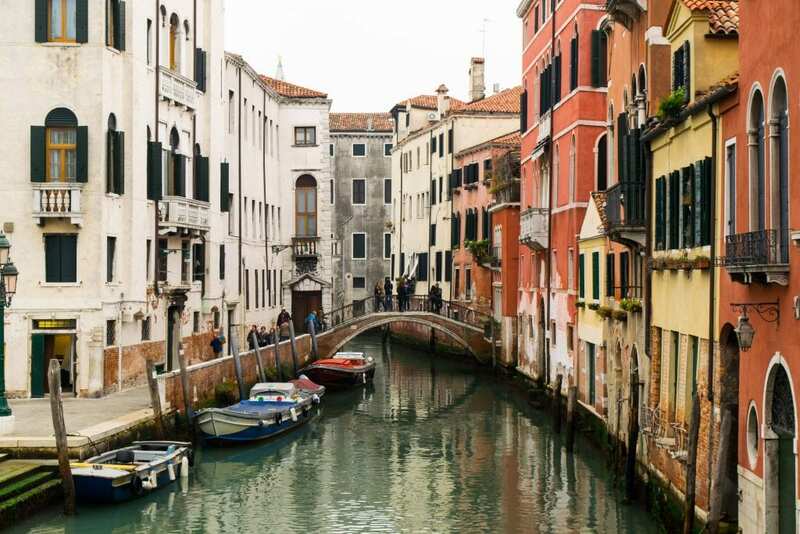 ), walk across the Rialto Bridge, and spend ridiculous amounts of time wandering aimlessly around the small streets and lesser-known canals–that is truly Venice at its best. If you have good weather while in Venice, also consider a day trip out to the island of Murano or Burano for another view on Venetian life! 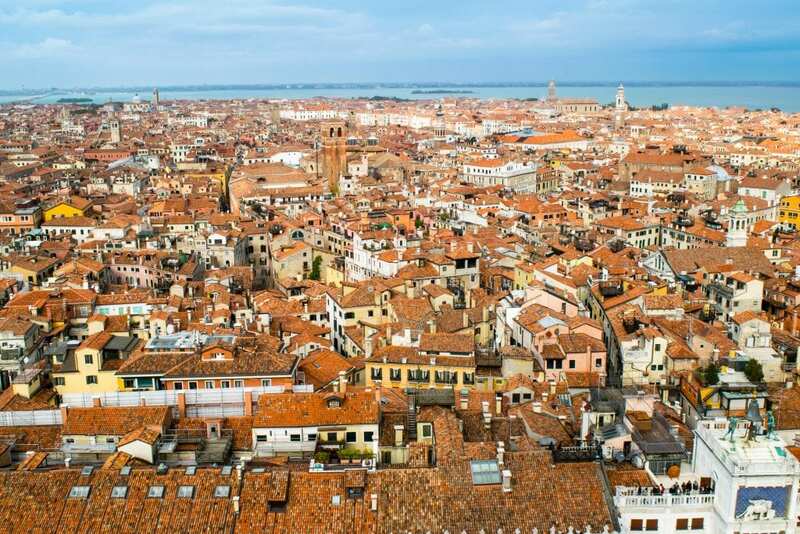 Especially if you’re visiting during the summer, Venice will be both crowded and expensive. It’s still absolutely worth it to go, but like in Rome, consider early wake up calls to get the most out of your experience. Some of our best memories of Venice are of walking through the city before the shops had even started opening–and we got some of our best photos then, too. Keep in mind that if you want to take an iconic gondola ride, you’ll be paying a pretty penny–about $100 USD/gondola worth. We opted to skip the gondola ride and simply ride a waterbus through the Grand Canal for about $8 USD/person, which was more than enough time on the water for us. If you have your heart set on a gondola ride, though, be sure to budget for it! Hotel Casa Boccassini — This cute hotel easily met our needs in Venice! The room was simple but clean, and the shared bathroom a fair trade in exchange for their competitive prices in a great location. The bathroom was clean and we had a sink in our room, both of which always make shared bathroom situations much easier. The courtyard of the hotel was beautiful! The hotel was a simple and beautiful 10-minute walk from the Rialto Bridge, and just a 5 minute walk to the airport water bus. We would definitely stay here again! Check rates and book your stay at Hotel Casa Boccassini! Italy has an endless amount of places to see, and no 2 weeks in Italy itinerary could dream of covering the whole country. If you find yourself with more time in Italy, consider heading to the South Tyrol region to experience the Dolomites (also known as the Italian Alps). You could also head to Lake Como and stop off at Milan along the way, or stay further east after leaving Venice and hit up the stunning Verona. 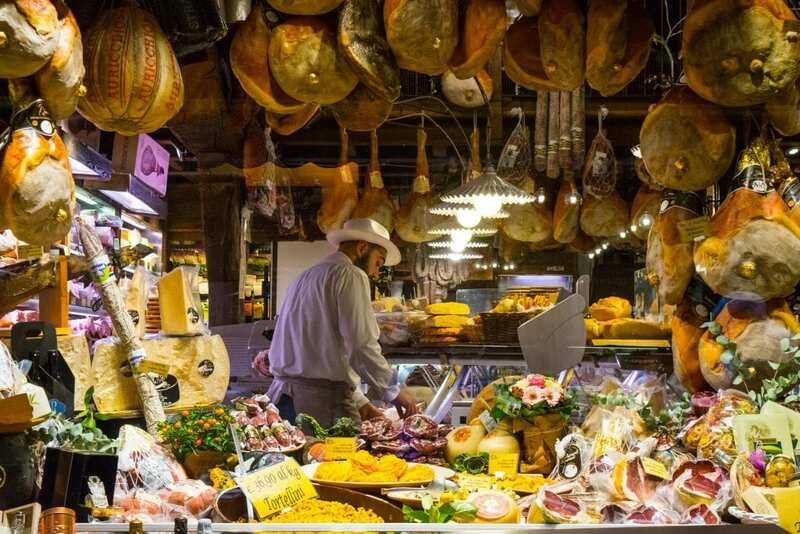 Bologna, which is known as one of Italy’s great foodie cities, is another wonderful choice, and also includes the option of a day trip to the microstate of San Marino. South of Rome, you could head to the incredible Amalfi Coast, and stop off for a day along the way to eat pizza in Naples. Even with all that, you’re still barely scratching the surface of Italy (and of course every single one of the destinations included on this 2 week Italy itinerary could easily take up more time as well)–but that’s ultimately a good thing. There is always a reason to come back. Within each of the destinations outlined on this 2 weeks in Italy itinerary, walking will likely be your most common method of getting around and also half the fun of traveling within Italy! You’ll probably want to mix in some public transportation as well, particularly in Rome, but strolling through destinations like Venice and Florence is by far the best way to explore them. Getting between destinations, however, is a different story–here’s a quick outline of transportation within Italy. Trains rule on-the-ground travel in Italy: if you’re not going to rent a car, it’s likely you’ll be getting around Italy by train. Every train we have taken in Italy has been comfortable and pleasant, but keep in mind that strikes can sometimes interfere with travel. We definitely recommend booking your train tickets in advance if you’re traveling on Italy’s high-speed trains, as these tickets can increase in price as the dates get closer. If you’re traveling on the regional train, you don’t need to worry about booking ahead, as the prices are fixed. Regardless of the type of ticket, we always use Trenitalia to book our train tickets in Italy and have always had very smooth experiences purchasing tickets in person or over their website/app. Keep in mind that most train tickets must be validated before boarding the train in Italy, and failing to do so could result in a hefty fine, being thrown off the train at the next stop, and an enormous headache. When in doubt, ask before boarding! Renting a car to drive through Italy is a popular option, especially in places like Tuscany, but there are a few things you’ll want to consider before you do. Keep in mind that cars are restricted from driving into the historical centers of most cities, including Florence and Venice, and failure to adhere to these rules (even accidentally) can result in strict fines that you sometimes find out about through the mail months after the fact (my dad and a good friend have both been fined for driving in Italy via a summons after returning home). For that reason, as well as issues with extremely limited parking in cities, we recommend limiting car rental when possible to time spent in smaller villages and towns. An international driver’s permit is required for renting a car in Italy and must be obtained in your home country before arriving. Sometimes car rental companies ask for it, sometimes they don’t (same with the police), but in our opinion, it’s not worth taking the risk–add this to your list of things to take care of being starting your 2 week Italy trip if you plan on renting a car. Also, keep insurance in mind! Thanks to Italy’s (somewhat deserved) reputation for less-than-cautious drivers, some travel insurance companies will not cover you while driving in Italy, or charge an extra fee to do so. Be sure to double-check before you book. Bus travel in Italy is much less common than in some other European countries, mostly because of their well-developed train system. You can find some buses available, however, especially among smaller cities and villages (we’ve used local buses in South Tyrol several times), so be sure to check for these services as well if you’re having trouble deciding how to get around a certain destination. When traveling long distances in Italy–say, from Rome to Venice–we strongly recommend looking into flights. Trains are a lovely and romantic way to travel, but they can also take a long time! Budget flights within Italy can help keep costs down–for inexpensive tickets and airlines, look for flights to and from Rome, Pisa, Bologna, Milan, and Venice. There’s no such thing as a bad time to spend 2 weeks in Italy–but some seasons are definitely more convenient to travel in than others. Summer is the most popular season and will bring warm weather, lots of sunshine, and lots of tourists. 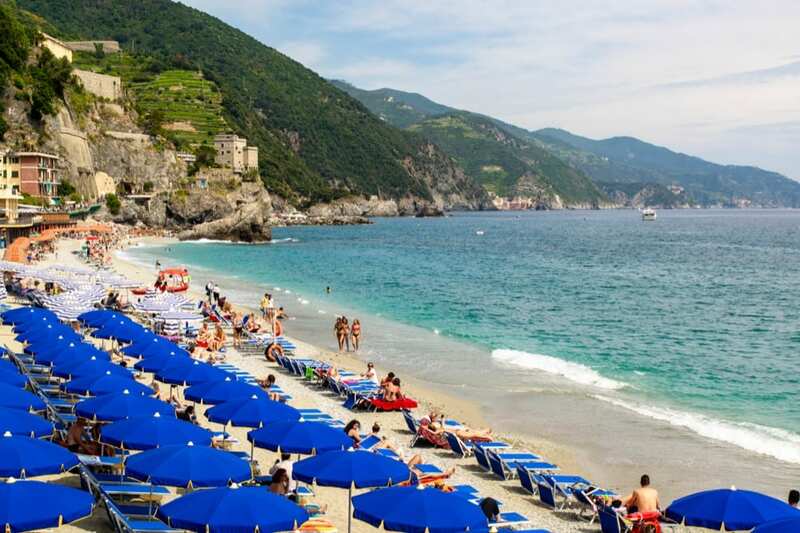 Prices will be at their highest, but the beaches will be at their best–if you’re hoping to swim at Cinque Terre, you’ll want to plan a summer trip. Winter is the offseason and will bring colder temperatures, rain, and gray skies. Prices will be at their lowest, and crowds will be as small as they ever get. The Christmas season can bring some increased crowds, but also the benefit of experiencing Christmas decor and markets. Personally, our favorite times to travel to Italy are the spring and the fall: the crowds are less than in the summer, spring brings beautiful blooms, and fall brings the olive harvest (after tasting fresh olive oil in Tuscany this past year, I don’t know how we ever lived without it). The weather is a bit riskier during the spring and fall than during the summer, but we have never had much of an issue with it–the occasional rainy or cool day is worth it to us for the tradeoff of not being hot and crowded, and October is our personal favorite month to visit Italy. Planning a packing list for 2 weeks in Italy can be a challenge of its own–here are a few things to be sure to bring! — If you’re coming from outside of Europe, you’ll definitely need adaptors for your electronics. enough: this travel safe is affordable, sturdy, easy to pack, and will help keep your valuables safe in your hotel room (not that you should need to worry much about theft in Italy, but it’s better to be safe than sorry!). and had no complaints. These days, we prefer just to leave valuables in our Pacsafe during the day. — Most bathrooms in Italy will have toilet paper, but not all of them (especially in smaller train stations). Bring a small pack of tissues, toss them in your day bag, and you won’t have to worry about it. –I’ve been using it for more than a year now and adore it! Before heading off for your 2 weeks in Italy, be sure to read through our complete Italy packing list! I’m in Veneto, and so am biased about what I write about Italy. You covered some great places like CInque Terre and beautiful Toscana. I totally agree about heading to see the Alps, the Dolomiti is a must too. Beautiful photos to accompany the post too! Thanks, Lisa! We’re hoping to make it back to see even more of Italy in 2018–maybe we’ll make it to Veneto this time! Italy, why can’t I quit you… I have been reading about how dreary Italy can be in the winters. I think you are right that fall would be the best time to visit. I loved how clear all of your photography was. Thanks, guys! I know what you mean–we can’t quit Italy, either. A great article for first timer to Italy. I have sent this to my partner and I hope he reads it, I have dreamed of coming to Italy since I was a young girl. My parents went to Italy and always spoke of Venice and Muranos Island and of course glassware. Your photos are spectacular. Italy is such a cool destination and this is the perfect guide to plan a trip in two weeks. I have been to Rome once and your pictures of Trivi Fountain is amazing as during my visit it was mainly crowded. Did you explore the islands near Venice too ? No chance to go to the islands, sadly–the weather didn’t cooperate with us too well in Venice. Hopefully next time! We’d especially love to go to Burano. I was actually wondering where you were off next, after reading your Rome post 🙂 although not a big fan of Italy overall, I am a huge fan of Tuscany… I only got to spend 2 days in Florence a few years back, so it is definitely on my travel list! Love your pics! I visited Italy for the first time last year, travelling to Rome and it was magical. The amount of culture is unbelievable, I would love to travel to Florence or Naples next time! I hope you get that return trip, Lottie! Italy never gets dull, that’s for sure. Your pictures are really enticing. 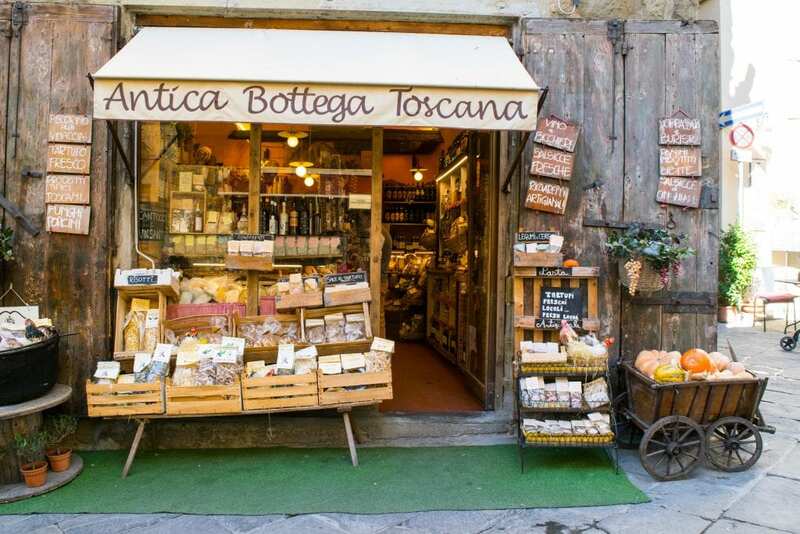 A trip to Italy would be incomplete without taking up a culinary class or 2 in Tuscany. Cinque Terre looks particularly interesting too. Will get back to you for travel-planning. 🙂 Cheers!! You’re totally right, Aditi–our cooking class in Tuscany was one of our highlights of our month there this year! Food in general is such a big part of traveling in Italy, it really adds something to the whole experience. I agree with you that one cant get enough of Italy…and this time I really mean it! So much cosy villages and site to explore…and not to mention the food! 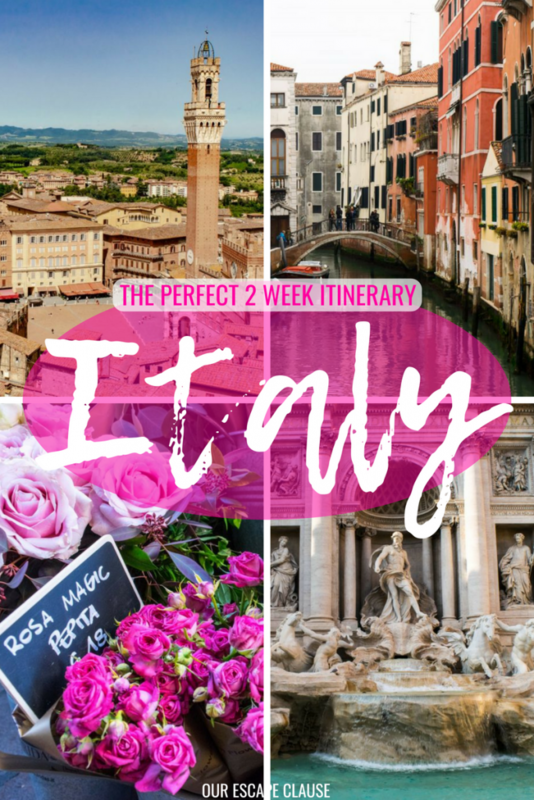 I have been to Italy many times before living in the country next to so I think you have chosen a great destinations for a two weeks itinerary for a first-timer! I hope to visit the northern and souther part of Italy this summer! Oh, it must be so much fun to live in Italy! I’m sure it comes with its challenges as well, like any destination, but if we could pick somewhere to live for a year, Italy would be VERY high on the list! Eat, Pray, love put Italy on my map. And, I am so glad it did. I really enjoyed my time in Italy. And, without knowing I almost followed your first-time visitor itinerary. The country is so beautiful that one time is not enough. I am aching to go back. Maybe this year it will happen. Hope you get to go back, Archana! No such thing as too many trips to Italy, right?! Curious, how did you decide the order of your destinations? We’re doing 15 days in Italy and flying into Rome. We’re trying to visit Venice, Florence, Cinque Terre, Tuscany then Amalfi Coast before returning to Rome for our flight home. Any advice on the best order? We actually put this itinerary together based on a couple of months worth of travel in Italy, so we didn’t follow these steps exactly in order (though we’ve visited all of these destinations, some more than once! ).For your trip, assuming you’re flying out of Rome as well, I’d personally probably structure it as: Rome to Cinque Terre, Cinque Terre to Florence/Tuscany, Florence/Tuscany to Venice, and Venice to the Amalfi Coast (you’ll need to stop by Rome again) before returning home. No matter what way you do it, you’re going to have a lot of travel time in there–you’re covering quite a bit of the country.Honestly, I’m tempted to say you should skip either Cinque Terre or the Amalfi Coast (the Amalfi Coast would make more sense to cut geographically, hence why it didn’t make this itinerary) and slow the pace a bit, but I know that’s much easier said than done–when you have a limited number of days, you want to see it all! Not sure how you’re planning on getting around, but I’d consider saving some time and flying from Venice back to Rome–budget airlines (including Ryanair) fly in/out of both those cities, and if you plan in advance, you may be able to get very low fares. Also consider booking any train tickets you need in advance–fares go up dramatically the closer your dates get. Hope you guys have an amazing trip! Italy is absolutely incredible. ? I wanted a favor from you guys, I will be travelling to Italy soon, for some office work in mid march. I will stay at Siena for 14 days. Can you please please please recommend me a travel plan or at least help me with details of rail travel? I intend to see Rome on one weekend, Venice and Milan on other weekend. I intend to travel Florence and Pisa during weekdays, when we get time off. Hi, Akshay! That’s not a service that we offer, but I can say that we used Trenitalia for our train tickets and were very satisfied with them. I recommend booking as soon as you know your dates, because prices do get more expensive over time. I think seeing Venice and Milan in a single weekend will likely be too much–unless you’re dying to see Milan in particular, I’d recommend skipping it and heading right to Venice. Good luck!! Hope you have an incredible trip. We leave for our first Italy trip next week! I am so excited! When we were first planning our trip we were trying to pack too much into 14 days. We settled on flying into Venice for two days, heading to Modena for two days, traveling to the Umbria region for 5 and ending in Rome where we fly out. Oh, that is so exciting! It’s definitely tempting to try to stuff too many destinations into too few days, but your trip sounds wonderful. I hope it helps you fall in love with Italy!! Hello- We are traveling to Italy for first time in August 2018. Flying in to Venice and staying for 3 nights. Then to Florence for 4 nights, and on to Rome for 6. Flying back to US from Rome. Question– Should we decrease time in Rome to add 1-2 nights in Naples or Sorrento to see Amalfi Coast? We will do day trip from Rome –> Naples –> Pompeii, but just curious if we should try to squeeze in Amalfi Coast. Thank you! Hi Vicki! It’s hard to say without knowing your general travel style (how badly do you want to see the beach? 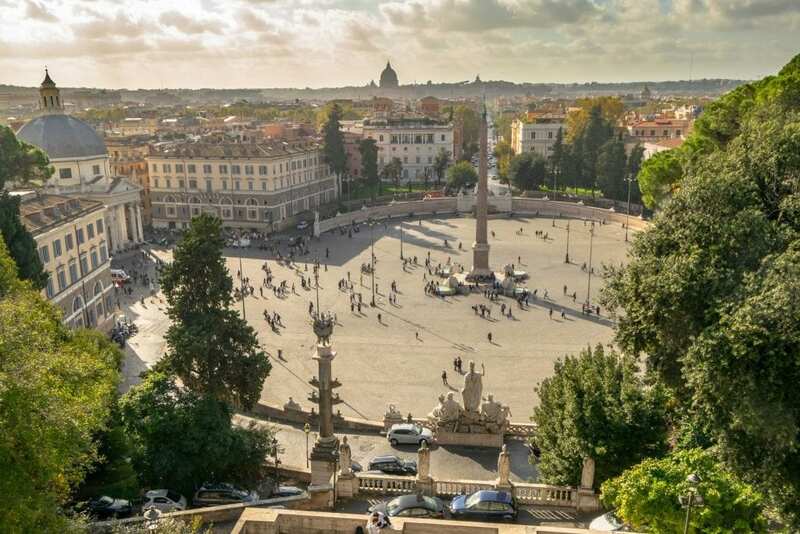 ), but our recommendation would be to stick with Rome for 6 nights, or to add on an additional night onto Florence and potentially use that as a day trip to Cinque Terre (you’ll need a car to do that, but it’s a shorter drive than Rome –> Sorrento). Good luck with your planning–your trip sounds fabulous! Kate, Thank you so much– this has been enormously helpful! I think we’ve decided to take the train from Venice to Florence, spend 4 full days in Florence and just explore that beautiful area. We know we need at least two full days in Florence, but welcome any/all suggestions about surrounding area day trips. Grazie!! Vicki- who are you booking with. This is the exact trip myhusband wants but couldn’t find it. flying to venice for 3 nights, florence for 4 nights, then Rome. I’m not sure what Vicki is planning, but if you guys are planning the trip yourselves, I’d fly to Venice, take the train to Florence, and then the train to Rome before flying home. I’m not sure of any group tours that follow that route, though I’m sure they exist! This post is a great guide for traveling through Italy. My friends and I traveled to Italy on a rented car and visited some of these places. I advise everyone to visit here! Thanks, Dylan! So glad you guys had a great time. Yes, absolutely, but it can be convenient to drive to La Spezia and take the train into the 5 villages from there. 🙂 Easier than taking the train all the way from Florence for sure! This is amazing blog! My husband and I are traveling to Italy for our honeymoon in June. Could you guys shed some light on car rental and driving in Italy? Is it driver friendly with interpretable directions? My husband wants to bring a GPS – is this too ridiculous? Thank you!! Also, have you been to Capri? Hey Natalie! Congrats on your wedding–we got married 5 years ago this June. 🙂 🙂 Italy is reasonably simple to drive in when you consider the quality of the roads (decent) and navigation (decent). That being said, drivers are aggressive and driving in cities is a headache–at the very least, I’d ditch the car in major cities. Depending on your itinerary, I doubt you’ll need a car for your whole trip–I’d consider where it would be more of a hindrance than a help (basically any large city and any surrounding smaller cities/towns that you can connect to by train) and go from there. I am so happy I came across your blog! We leave 9/8/18 from California and arrive in Rome on Sun. 9/9 @ 6pm My initial thought was to take the fast train to Venice on Mon. 9/10 and then work our way down to Florence, CT, Rome.. but now i am wondering if i should fly to Venice on 9/10 after a good nights rest instead of train to save time.. its the same price! Or do you suggest head straight to CT from Rome, then on to Florence, Venice and fly back to Rome to finish our trip there?? I saw you suggested above to go to CT from Rome.. I am trying to not overwhelm ourselves as i really don’t want to spend all my time on a train or stressed out.. But i feel like these are the 4 places we want to see this time around.. (i had to talk myself out of Amalfi, Lake Garda, etc.!.. i want to see it all!) Also, this will be our honeymoon! We will be there for a total of 13 nights. Hey Amanda! Congrats on your upcoming wedding!! September is the perfect time for a honeymoon in Italy, it’s one of our favorite months here. 🙂 I definitely understand the difficulty of cutting things down, lol–there’s never enough time! As far as starting in Rome or Venice, it’s mostly personal preference. I wrote the itinerary this way for two reasons: 1) most people fly into Rome, and 2) If I had to choose, I think Venice makes a better last destination than first. 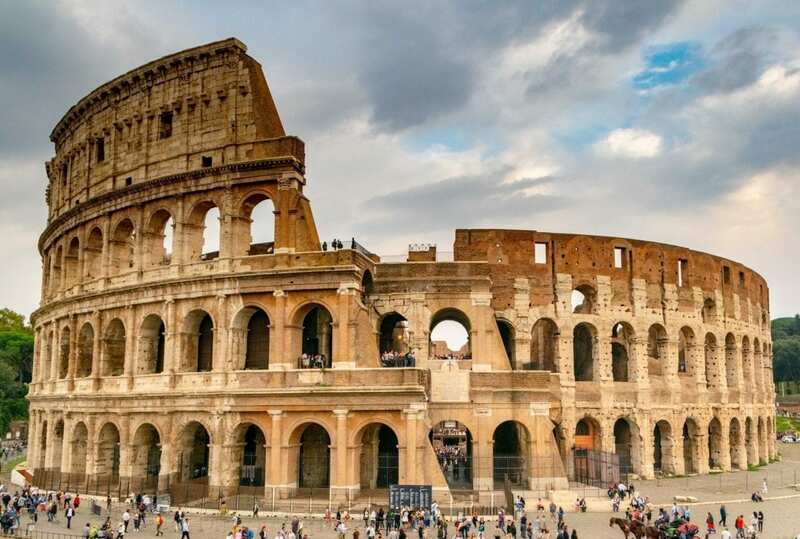 They’re both crowded and touristy, of course, but seeing the best of Rome requires a lot of effort and activities–the Colosseum, touring the Vatican, etc. Venice definitely has some great sights, but you could also spend a couple of days strolling aimlessly around the city while eating endless gelatos and still come away feeling like you “saw Venice”–in other words, it’s not as demanding as Rome IMO. Plus… after flying all the way from California, I’m guessing you’ll be ready to see Italy once you get here, not jump on another train/plane! But ultimately, it’s your call–I don’t think either direction would be a mistake. Hi there, I am taking my wife for 2 weeks coming up next month. We are staying in Cortona, Italy in Tuscancy and making day excursions to Florence, Pisa and other towns within a day of Cortona. For the second week, would it be better to start off in Venice and make our way to Rome and/or Cinque Terre or do I see about a last minute cruise from Venice through the Mediterranean. Downside would be that we wouldn’t see as much of Italy. We don’t want to be on the go 24-7 but we do want to experience Italy. Your comments are appreciated! Both of those options sound amazing, so it’ll really just be down to personal preference! I don’t know the cruise itinerary, but I would imagine that the cruise will focus more on natural beauty + beaches, and a a trip to Rome would be more focused on history (with still a sprinkling of beaches in that week if you hit up Cinque Terre). If this is your first trip to Italy, I personally would forgo the cruise to focus on Italy itself, but there is definitely no right or wrong answer to that! Great advice and itineraries, thanks so much! We’re planning an 8-10 day trip to Italy during the last 2 weeks of August and are thinking Venice, Florence and Rome (not necessarily in that order). I’m wondering if it would be a better plan to split the time between Venice and Florence and plan to see Rome during a trip during a shoulder season (we also have 2 weeks available to travel after Christmas ). Your thoughts on whether to cut the itinerary to 2 vs 3 cities during the hotter “touristy” time of year? Thanks! That’s a tough question! Knowing you have another opportunity to travel after Christmas, I would probably lean toward cutting one city and sticking to two–it’ll be a more relaxing trip that way, and there’s more than enough to do in any two of those cities to keep you entertained for 8-10 days. I know it’s a hard call, though! Hello, it was nice reading your and other people’s ideas. We are going to be 71 and 72 this coming April-May when I am planning our trip to Italy. I have been before and love the trains and agree with all. But, dealing with luggage on trains is not the easiest especially as we get older. I need to book lodging before the flights and we have enough miles. If we take the train, are there taxis at all the stations to get us and luggage to where we stay? And, any idea how much or if they take credit cards like I know they do in NYC? He suggested driving for that reason, but I think finding parking with the lodging, or at the sights, would be the worse problem. Do you agree? I was thinking of mid May, but have read that May is pricey. Do you think late April is warm? I don’t want to lug jackets. My idea for 2 weeks: fly to Rome, 3 days; to Assisi, Perugio, Siena- find a place in either area for a day or 2; Florence, 3 days;Pisa 1 day; Cinque Terre/LaSpezia, 2 days; Venice -maybe drive thru Verona, 2 days. Hi Roberta! Yes, I can definitely see how the luggage on and off trains can be difficult. There are taxis at most of the stations, but they don’t tend to take credit cards. Uber is available in Rome, but no other city on your itinerary. 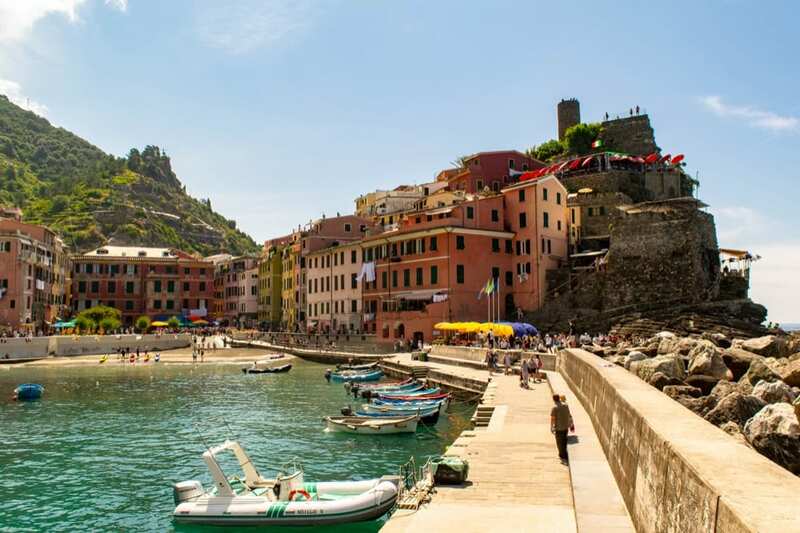 I would say that driving is definitely more trouble than it is worth for larger cities like Florence, Rome, and Venice–you could consider driving to Cinque Terre, but you’ll likely just be leaving the car at the hotel the whole time. I’m not sure what your budget is, but some hotels will also offer an airport (and possibly train station?) pick up service–for a fee, of course, but they would be able to help with the luggage. Late April is a bit unpredictable with the weather–it may already be getting warm in Rome, but Venice will almost certainly still be jacket weather. You never know, though! We were in central Italy during late April this year (Bologna/Emila-Romagna) and we still wanted light jackets until around the beginning of May. Hey! Came across your blog and this is super helpful. Even reading through all the comments. My wife and I are flying into and out of Rome in September and have 14 days in Italy. We were thinking after arriving in Rome hopping on a train to Venice and staying there for about 3 and a half days then taking the high speed train to Naples and spending some time in Sorrento and that area for about 4 days and ending in a Rome for about 4-5 days. I’m not counting the days where it’s mostly traveling. Do you think this is feasible? Should we add a city worth seeing or is it too spread out to really enjoy it? We want to make the best of it since we may not get back there soon but I also don’t want us running around so much that it becomes in enjoyable. It is feasible! You’ll be tired, but it looks like you have enough time to work with. If you have your heart set on those destinations, I’d look at a budget flight instead of a train for Rome/Venice and back–round trip fares can be quite inexpensive on discount airlines like Ryanair, and I know they have lots of flights between both cities. With a 14 day trip, I would personally be tempted to trim a day from each of those destinations and add in another city (Florence/Tuscany would be my personal first pick), but you certainly don’t need to, and you guys know your pace best. Have fun!! September is a magical time to be in Italy, I’m sure your trip will be wonderful. I Loved your itinerary, am thinking of something similar in October for my family. Could I ask what your final budget was for travel and accommodation / tickets etc please? We put this itinerary together based on several months traveling in Italy, so it’s hard to extrapolate out what we would have spent. Speaking generally, I would say 140 Euros/couple/day, adding additional funds for kids, is a comfortable midrange budget in Italy, though you can easily do it on a far smaller or far bigger budget as well. If you plan to rent a car in Italy, that will eat into costs and you may want to budget extra for that. Your travel blog is perfection! We are looking to surprise our daughters with a trip next summer and you have covered everything on our wish list. I am in the process of planning a summer trip to Italy with our kids. We are flying into Venice ( award travel) and was planning to stay 2 nights, then stay 5 nights in Tuscany and then head to Positano for 5 nights. Will fly home from Naples or Rome. On our first trip to Italy we did Florence, Cinque and Rome. I was dreaming of a farmhouse/villa stay in Tuscany but so far they are all a Saturday to Saturday stay. We arrive in Venice on a Monday and was planning Tuscany for a Wednesday arrival for 5 nights. Wondering if we should skip Positano and go somewhere for 5 nights before Tuscany? Or should we fly from Venice to Naples , visit Amalfi area and then head back to Tuscany? Or maybe you know a place that doesn’t require a week stay in Tuscany? Is there a Tuscan town you recommend for a good home base? Trying to make the best use of our time. I am getting confused 🙂 Our kids are teens. Hi Sally! It all depends on what you’re looking for–Positano is beautiful, but if you’d rather stick to a closer geographic area, Verona and Emilia-Romagna (possibly based in Verona) would be good options between the two. For beaches, there’s always Elba in Tuscany (though that can be a little harder to get to). I don’t know of any Tuscan villas offhand that aren’t only Saturday-Saturday, but I would guess that VRBO and maybe Airbnb would be your best bets for that. We use VRBO for our multi-generational family trips to Tuscany. 🙂 Tuscany is one of our favorite places, so I’d have a hard time saying you can go wrong with a base there! 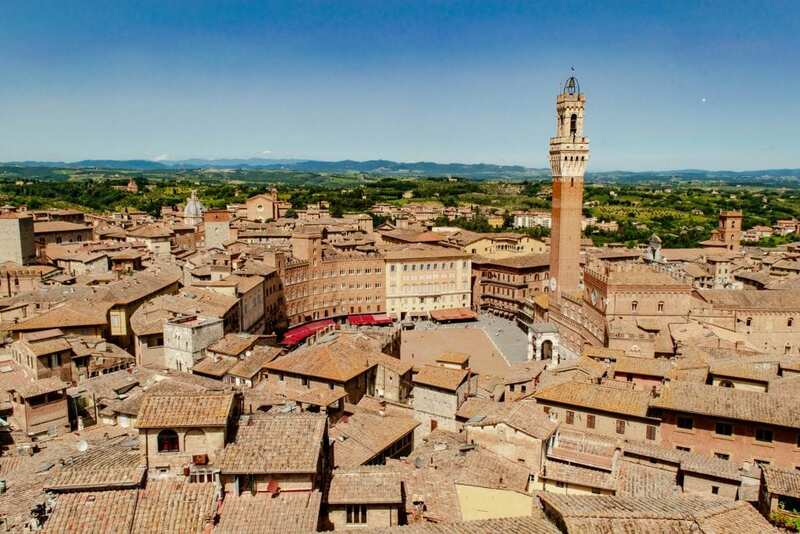 Siena and Lucca are both great options if you’re wanting something smaller than Florence, but you’ll definitely need a car for day trips if you’re wanting to explore the region (and especially if you’re staying outside the city center). I enjoyed reading your blogs very much. My family and i will have only 5 days in Italy, as a side trip from Germany. Where would you recommend that we must visit, as a first timer to Italy? Also, are there flights/trains that go directly to Florence? Ahh, that’s a hard one! The answer is, of course, wherever you are most invested in going–but in my personal opinion, I’d pick Tuscany. It’s easy to navigate, incredibly beautiful, and very classically “Italian” for first-time visitors. It’s also one of our favorite places in the world, so I’m a bit biased. 🙂 There are flights and trains that go directly to Florence, but on that timeline and coming all the way from Germany, I’d definitely fly. If you’re open to budget airlines, be sure to check Pisa–it’s about 20-30 minutes outside of Florence, and most of the budget airlines fly there instead of directly to Florence. We are heading to Italy (first time for me) next fall with 2 other couples and are just now starting to research. Your blog is amazing and really is helping us formulate our trip. Have you ever cruised the coast of Italy ( i want to see as much as possible going for 2 weeks) and know we cant see it all but wondered how a cruise (small less then 300 people) might help us see all those amazing sights on the water – 7 day then heading into shore and seeing the other parts of Italy. We haven’t had the chance to cruise the coast of Italy (yet), but it’s actually on our list of Italy trips we hope to take one day. If your goal is to see as much as of Italy as possible, I would say the benefits of the cruise depend on where exactly it goes and what your priorities are. I’d check and see how much land time there is vs cruising time, etc. It’ll definitely cut into your time in Italy itself, but it would also undoubtedly be a beautiful and unforgettable experience in its own right. The coast of Italy is incredibly gorgeous! Did you take the picture of the Tuscan countryside that is right before the “Cars” section of this blog? If so, where is that at? 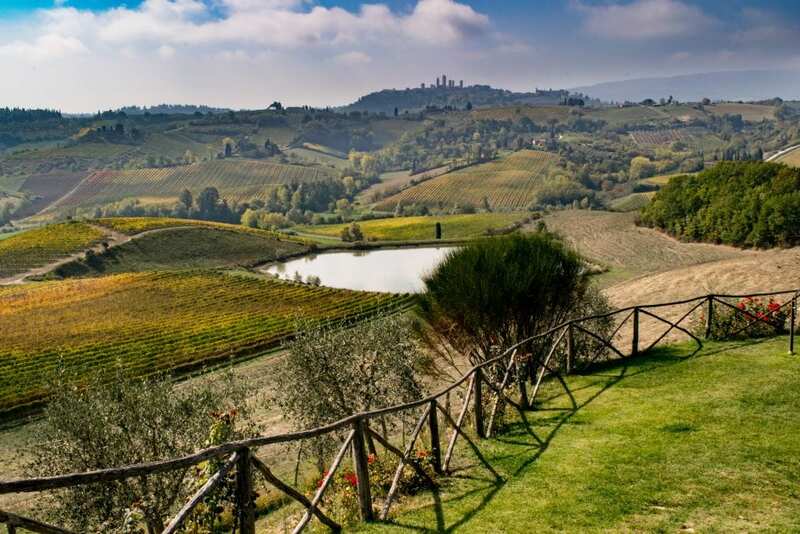 It was taken at a winery outside of San Gimignano–those are the towers of San Gimignano that you can see in the far distance. Unfortunately, I didn’t note the name of the winery at the time, but there are similar views all throughout the area! My husband and I are planning to go back to Italy next October.our past trips were Florence, Tuscany and a Rome. This time we’re going to Umbria area and the Amalfi coast probably 14 days total. My question is what order do you suggest? Last trip we felt like we should have done Rome first then Tuscany, Rome was hustle bustle and Tuscany was laid back and relaxing..we felt we should have stayed in Tuscany last. What place would you suggest starting and ending with. If you’re looking to start with hustle and bustle and then end with somewhere relaxing, I’d recommend starting with the Amalfi Coast and then heading onto Umbria! As a bonus, you’ll then be near the coast a tiny bit earlier in the season, so hopefully some of the warm weather will hold out for you (and it very well might–we’re in Rome right now, and even though we’re into the second half of October, it’s 80F and sunny out!). I’m actually working on a Pompeii/Mount Vesuvius guide that should be published sometime this month, so be sure to check back for more detail, but here’s the short version–it depends on how much time you have. If you only have right around 2 weeks in Italy and don’t want to cut any other destinations, you can do Pompeii as a day trip from Rome. However, the only way to feasibly do that well (especially on a first trip to Italy) is to book an all-day tour, and it’s about 6 hours of driving roundtrip. Alternatively, you can stay in Naples and visit independently. Naples feels very different from the rest of this Italy itinerary, which focuses on north and central Italy instead of the south of the country, but it is a lovely city with some fascinating things to do, the world’s best pizza, and easy access to Pompeii. It’s considered “dirty” by many, but it doesn’t personally bother us a bit, and we don’t think time there is wasted. For Pompeii itself, you really only need one day, and with some solid planning, a base in Naples, and an alarm clock, you can squeeze in a visit to the crater of Mount Vesuvius or Herculaneum that day as well. If you wanted to visit via Naples and keep most of this itinerary structure, add on a stop after Rome. You could then double back to Cinque Terre or simply swap Cinque Terre for the Amalfi Coast, which is very close to Pompeii and Naples, before heading up to Florence + Venice. Hi. I am visiting Italy in April and would like to go to the Dolomites. I will be staying at Peschiera del Garda for 5 nights. Will I be able to visit the Dolomites from this place? Will Dolomites be accessible in early May? We haven’t been to Peschiera del Garda, but there are plenty of day trips to the Dolomites sold that leave from there, so you should be safe. 🙂 The Dolomites are pretty accessible–depending on altitude you may still see some snow in early May and certainly some colder temperatures, but you should be able to access the mountains to experience some beautiful views (I’m assuming you’re not planning on doing any intense hiking since you’re basing yourself near Lake Como). Hi! I am trying to plan a trip to Italy for May. We want to go to Venice, but have also heard that there are new laws for tourists and how expensive it is during this time of year. I know it is so overly visited by tourists, and just wanted to ask you if you think it is worth it. It would be at the end of our trip, and only 2 days. If not, we may stay south. Thanks! It’s an interesting question, Hannah. We’ve personally only visited Venice in the late fall, so we haven’t experienced the summer crowds ourselves–but we know they are intense. 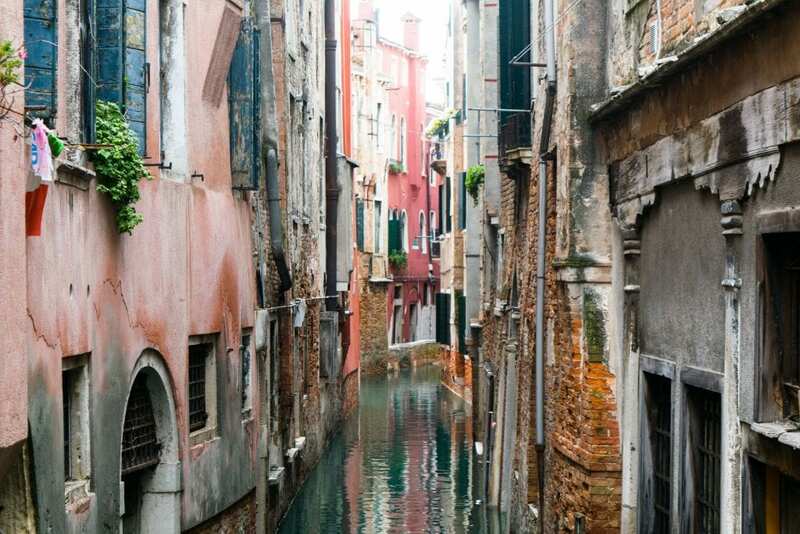 If you have always wanted to see Venice, I do think it’s worth it–no matter how many cities call themselves “the Venice of X place”, there truly is only one Venice. It’s an incredibly unique and beautiful city. However, you will definitely pay for the privilege–it’s expensive, and there will be crowds in May, especially if you go toward the end of the month. 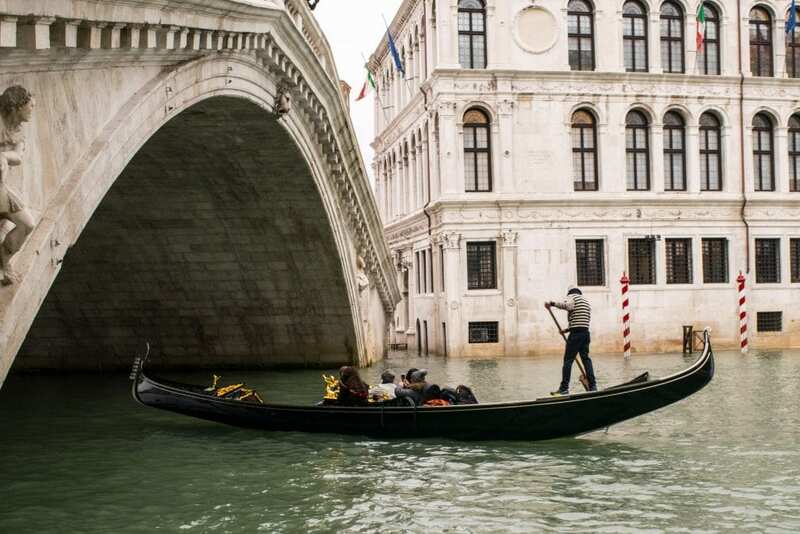 I’d recommend pricing out hotels and activities for your dates, adding up the estimated cost, and asking if you think that number–including the cost of getting to/from Venice–is justified based on how much you want to see it. If you don’t mind crowds, have always wanted to see the city, and don’t mind the cost (much)–go. If you’d prefer to visit somewhere less congested and Venice is somewhere you’re considering visiting just because it’s an obvious choice and not because you’re excited to see it specifically, look at staying further south. This is WONDERFUL! My fiance and I are planning a two week trip to Italy from the States. Any chance you have a rough estimate on how much to budget for all of this? Thanks so much! Hopefully that helps give you a general idea!